Starry Night: Great Spots for Astronomy & Stargazing in Ohio - Ohio. Find It Here. Stargazers of all experience levels will discover observatories and astronomy parks all across Ohio. Start by joining a public tour at the NASA Glenn Research Center in Cleveland, one of only a few official NASA outposts in the country, where you can discover how scientists develop the innovative technologies behind space exploration, from power to propulsion to communication. Plan ahead — bus tours are held once a month, April through October, by reservation. 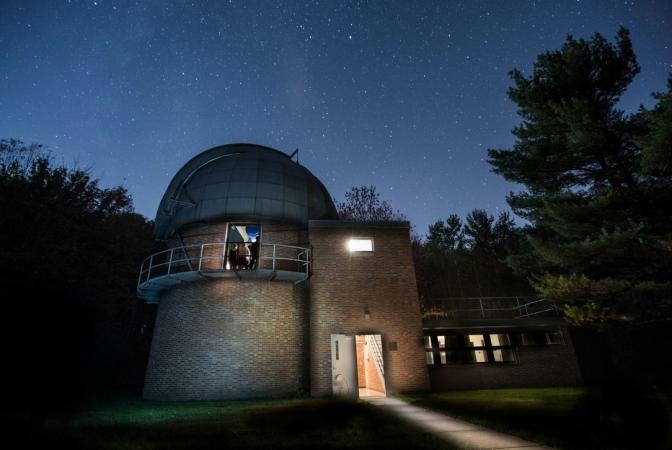 Get an unparalleled view of the stars at Ohio’s Observatory Park within Montville’s Geauga Park District. When the park opened in 2011, it was awarded a Silver Tier Dark Sky Park distinction, making it one of the only Dark Sky Parks in the country. Bring your telescope or view the heavens in great detail through the 36-inch mirror research telescope. Dark Sky Parks use specialized lighting fixtures and other features to minimize the impact of light pollution on star gazing. The result? A brilliant nighttime view that will take your breath away! Ohio’s space pioneer is honored at the new John Glenn Astronomy Park, located in the beautiful rolling hills of southeastern Ohio. The near-pristine skies of the Hocking Hills offer breathtaking views of the Milky Way. Take a “solar system walk” in the park during the day to get a sense of the solar system’s size, or view the sun through telescopes with specialized lenses. 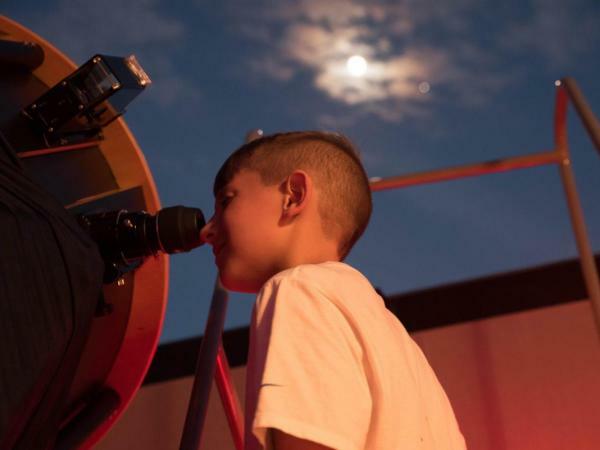 At night, guests can check out stars, planets, comets and nebulae through a 28-inch telescope. 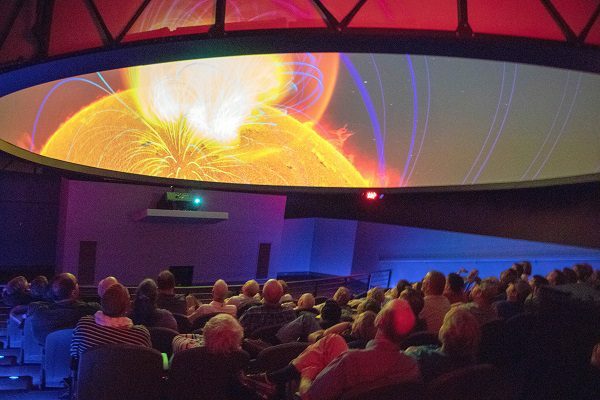 The Works in Newark, Ohio merits hours of exploration, and its new SciDome Planetarium, scheduled to open in the summer of 2018, will let adventurers turn an eye skyward. 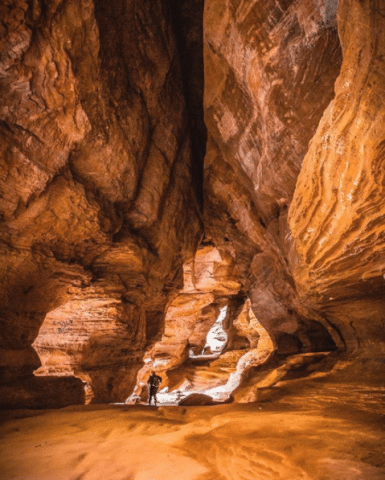 The planned 30-foot tilted dome will be outfitted with state-of-the-art 4K digital projection, creating stunning sky-scapes showcasing both the night sky and geological features of planet Earth. Visit Ohio observatories during the month of August to catch the Perseid meteor shower at its peak!